Updated with current facts, figures, and fees, this directory profiles all AMA, AOA, and ADA accredited medical, osteopathic, and dental schools in the United States and Canada. Every school profile provides up-to-date information on tuitions and fees, admission requirements, application procedures, available financial aid, a curriculum description, grading and promotion policies, teaching and library facilities, housing facilities, and special features and programs. 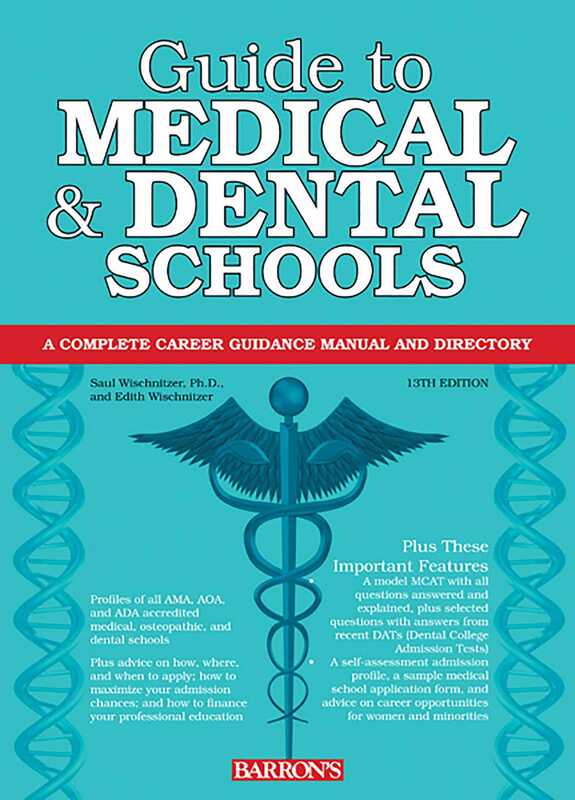 In addition to its comprehensive directory section, this book is also a practical guidance manual for students who are contemplating careers in medicine and dentistry. It presents MCAT and DAT test-taking advice, and sample essays written by medical school applicants. Additional features include a model MCAT (Medical College Admission Test) with an answer key for self-scoring, selected questions with answers from recent DATs (Dental College Admission Tests), a self-assessment admission profile, a sample medical school application form, detailed advice on medical career opportunities for women and minorities, and much more.